Licensed by the Georgia Dept of Driver Services, Barber’s Basic 30/6 Teen Driver Education Program satisfies Joshua’s Law. The basic course consists of 30 hours of classroom instruction and 6 hours of private, individual, behind-the-wheel training. 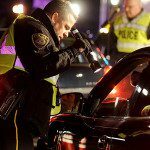 Barber’s DUI, Alcohol or Drug Risk Reduction Program is licensed by the Georgia Department of Driver Services to provide assessments and the 20-hour risk reduction school, class programs required under Georgia law for the restoration of a driver's license. 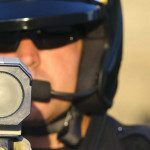 Barber's Driving School, Inc., is licensed by the Georgia Dept of Driver Services to administer the Georgia Road Test for its student graduates. 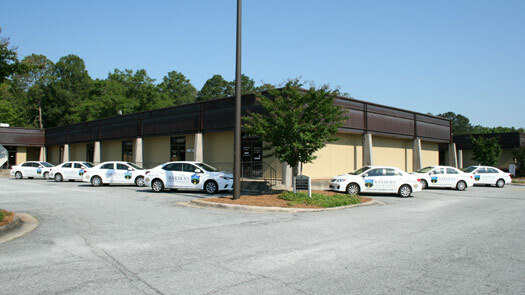 To be eligible to take your Georgia Road Test at Barber’s, you must have completed one of our Driver Education Courses. At Barber’s Driving School, you do not need a Learner’s Permit or any experience to start. Each year, Barber’s teaches hundreds of adults of all ages to drive safely and helps them to earn their Georgia or Alabama Driver’s License. Since 1964, Barber's Driving School has taught thousands of people from over 100 different countries to drive an automobile safely. We are a full-service driving school that will help you obtain your learner's permit, teach you to drive a car, and much more. Senior drivers who may consider using our program may be experiencing some difficulty with their driving skills, such as maintaining lane position, lane changing, turning, backing up, and limited mobility. Barber’s Driver Rehabilitation Program provides specialty services to two types of drivers: new drivers with a disability, and experienced drivers who require rehabilitation for personal transportation. All of our training packages have the required 30 hours of classroom, and you can purchase up to 40 hours of behind-the-wheel time. 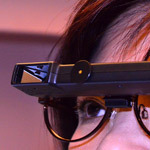 A minimum package of 30/6 is required to be licensed using a bioptic lens. 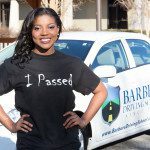 For more than 50 years, Barber’s Driving School has been helping students of all ages to pass their Georgia or Alabama written and oral tests in order to obtain their Learner’s Permits. 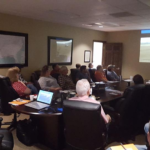 Barber's Corporate Driver Education program can help protect your brand, save on insurance cost, save on fleet repair cost, save on liability cost, save on fuel cost, save time, and, most importantly, save lives. This is a community outreach initiative to help educate our high school students how to interact with law enforcement agencies. PRAAAY is scheduled to kick off in December 2016. 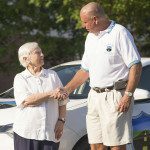 This is a community outreach initiative to provide transportation for our senior citizens to and from healthcare appointments, grocery stores, pharmacies, shopping centers, religious events, social events and more. Starting in 2009, Barber’s Teen Driver Education Scholarship program has expanded and continued each year, awarding some 158 scholarships with a total value of $74,892.00. 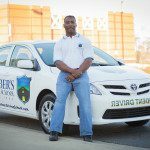 All of the Barber's Driving School Programs are State Certified through Georgia's Department of Driver Services. Our License Numbers are GA DDS #0030, GA DDS #106, and GA DDS #707.